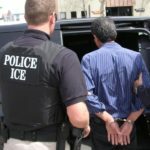 Protecting Assets in the Face of Deportation - Ruffi Law Offices, S.C. Anyone who is a noncitizen or has family members that are noncitizens could potentially face deportation proceedings. • What will happen to my house if I am no longer living in the United States? • How can I get money from my bank account if I am no longer in the United States? • How do I protect my property? A financial power of attorney can help protect assets. A financial power of attorney is a document that banks and other financial institutions recognize. A financial power of attorney grants the authority to a trusted agent to step in your place and make financial decisions for you. It gives this person the authority to withdraw money from a bank account, cash an employment check, pay bills or transfer the title on your house. A power of attorney can go into effect when the document is signed, or it can go into effect upon a certain event. Meet Juan. Juan came to U.S.A. undocumented in 2001. Juan is not married, but has two children that are United States citizens. His children are 10 and 8. Juan owns a car, a bank account and a house. If Juan were placed in immigration proceedings, he could potentially seek relief to stay in the country. However, Juan would like to plan for the potential situation of deportation. Juan wants to make sure that a plan is in place so his assets are protected and accessible. Juan executed a financial power of attorney. Juan chose a close family friend, Greg, whom he completely trusts. He decided to have his financial power of attorney go into effect when he signed the document. He gave instructions to Greg to only use the financial power of attorney if something were to happen to him. He told his family members the access code to the safe, where he keeps his important documents. Now, if Juan were placed in immigration proceedings, Greg could easily access money to pay the bills and an attorney. If you would like to learn more information about financial powers of attorney, call (715) 843-0800 and ask to speak to one of our attorneys. This article provides general information regarding financial powers of attorney specifically regarding immigration proceedings. This article is not meant to be construed as legal advice and does not form an attorney-client relationship. This article may not apply to every case or situation. For specific legal advice for your situation, please call Ruffi Law Offices at (715) 843-0800.